Gas Oven, Cooker and Electric Stove Repair Service in Oakville With Expert Repairmen. Get your Stove / Oven Fixed Today! 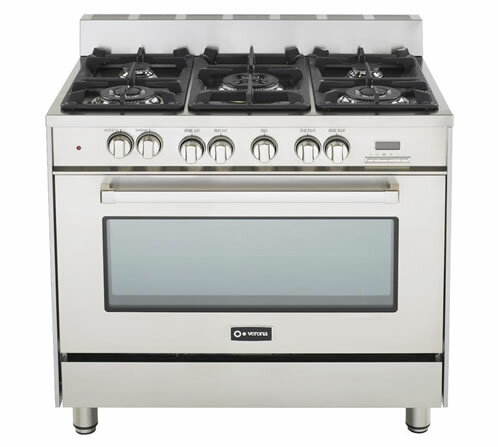 Electric ranges provide more even baking than gas and are an excellent choice for convection cooking. Most ovens have some degree of variance in baking temperatures. Electric ovens, however, have quicker response time to temperature changes, providing less heat variance overall. Lower amounts of variance yields more even heat and more consistent baking results. A common misconception is that electric ranges/burners perform inferiorly to gas ranges. In most cases, electric ranges, which run on 220 volts, can boil water as quickly as their gas counterparts. Some models feature electric burners that reach extremely low temperatures for delicate and precise simmering. Due to the heat-retention qualities of electric coils and ceramic, electric cooktops (with the exception of induction surfaces) cannot transition from high heat to low heat instantaneously as their gas counterparts can. This is one key difference between gas and electric cooktops. One advantage of an electric range is the option of a glass (or ceramic) cooktop. With fewer crevices and less surface area than porcelain/coil or gas ranges, glass surfaces are the easiest to clean and maintain. A glass top, if properly maintained, will retain its appearance longer than any other range surface in the industry. Today’s ceramic cooktops are also extremely durable and scratch resistant. 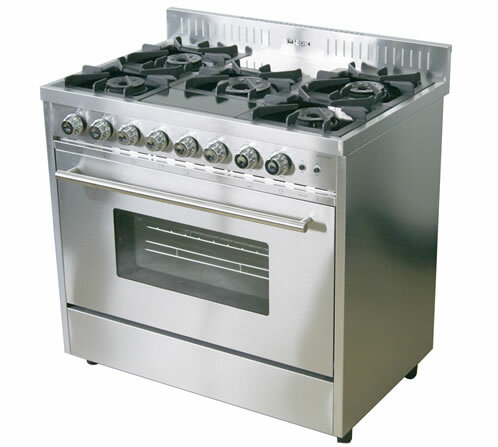 Chefs usually prefer gas ranges because heat output can be greater and easier to control. Gas ranges can have either open burners, which are cheaper and more efficient, or sealed burners that are easier to clean. Upgrades include larger oven window, self clean function, oven convection element, warming drawer and additional burners. 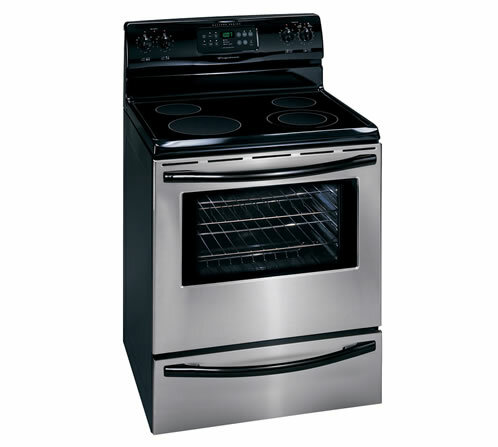 The standard range size is 30″, while you can buy a four-burner range at 20″ and 24″wide. Dual Fuel ranges combine the best of both worlds, a gas cooktop and an electric oven. Gas cooktops are known for their high heat output and excellent cooking, while electric ovens are superior when it comes to the preciseness of baking. Dual fuel ranges come with higher price tags than electric ranges or gas ranges, but they fit the specific needs of the gourmet cook.